We’ll deconstruct Eric Church’s “Record Year” to discover the songwriting devices that made this song a #1 on Billboard’s Country Airplay Chart and #44 on the Hot 100 Chart, and garnered three CMA nominations. Written with band mate Jeff Hyde, who also co-wrote “Cold One,” “Springsteen,” “Kill A Word” and “Smoke A Little Smoke” with Church, this is one of the most interesting songs to hit the radio in 2016 – it’s a thinker. And – that’s not a bad thing. The trick is making it not sound complicated! While the song sounds complex when you start deconstructing it, when you listen to it, there’s no difficulty in understanding what it’s talking about. Kenny Chesney, Darius Rucker, Old Dominion and Eric Church himself have all called upon the titles of iconic songs to add depth to their own. In “Record Year” allusion is used to recall recognizable songs or artists to help pull emotional associations into the song. The allusions also reinforce the clever play on words the song leverages as the song idea. What makes the structure work is the rhyme scheme that reinforces the sound of the hook down through the song. The song’s construction is elegant, conservative in that it only has what it needs and does not bow to time or radio-play conventions, and it’s stealthy. Despite the unconventional structure, you don’t really notice that it’s unconventional or that anything is missing. So how do the songwriter’s do that? A very unique approach to the Bridge. Couplets are king in the song. They help maintain a pace and they help focus the idea of the song title within each verse, chorus or bridge. Interwoven rhymes also serve to tie the hook to each of the song parts in a very natural sounding way – couplets tie to couplets. There are some nuanced lines that violate the couplet rhyme pattern, but this is a great example of breaking the rules for a very intentional purpose. This song is pretty sparse when it comes to accompaniment at the beginning. Basically, it’s clapping and a guitar. Why so sparse? And, how does it help the song idea shine? So how can you utilize all of the above in your own songs? 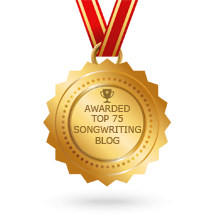 Go to the full song deep dive and get tips on applying to your own songwriting every time you sit down. 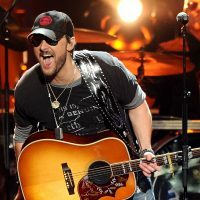 Apply Eric Church’s Techniques To Your Songs!